Nothing ever gets old with LuLaRoe! The LuLaRoe new style Debbie is here!! Just today at Leadership training in Dallas, TX they announced the newest style to the LuLaRoe line, the Debbie long sleeve fitted dress! It’s to die for and those of us in colder climates are screaming in excitement for the fashionable styles that will carry us through the colder months! This dress is the perfect addition to every wardrobe! Debbie is basically a combination of the Julia dress and Lynnae top. The Julia dress is LuLaRoe’s fitted short sleeve dress and the Lynnae is the only women’s long sleeve top in the LuLaRoe line. When you take the body of the Julia dress and the sleeves of the lynnae top you get DEBBIE!!! Although the sneak peeks of the dress have been debuted LuLaRoe has not yet released retail price on this item, nor have they released the information for when the dress will be available for order. So that you don’t miss out on this information as it becomes available, be sure to jump in my exclusive VIP shopping group. There have been hints that other items will be debuted today at Leadership Convention, so stay in the loop here!! The other exciting news is that again this year the LuLaRoe Elegant line will be coming this Fall and Winter. The word on the street is that this line is going to be even more high end than in previous years and will debut more of the LuLaRoe styles available in the elegant line in including Sarah, Joy, Jill, Lola, Amelia, Cassie and more! Get ready for more information and details on these items in the coming days and weeks! I can promise you the fabrications and detailing on these items are worth every penny and that you will definitely be the talk of the party at all your upcoming holiday parties and special occasions! Any new styles for the curvier gals? 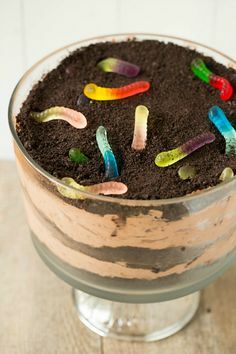 Bug Themed Party ideas- all children love creepy crawlies and will love a bug party.